Please join us on April 27, 2019 for the Rally Round the Valley 18 Miler! The race features a beautiful and scenic single loop course around Honeoye Lake and allows participants to run the entire 18 miles (individual) or as a relay team of two or three participants. No matter what option you choose, this is one race you do not want to miss! The event is well marked and staffed by local volunteers and free shuttle bus service to and from relay exchange locations is provided throughout the race. Sign up today and start training for what is sure to become your favorite distance race leading up to the spring running season! The race will start and finish at Honeoye Central School District. The official start time is set for 9:00am and the starting line is a short 2 minute walk from the school. Online registration will remain open until Tuesday 4-23-19. Race day registration and packet pickup will take place inside the school from 7:00 am right up until the start of the race at 9:00 am. There will be day of registration as well. Your registration fee includes either a long sleeve t-shirt* designed by local artist Jeff Moores or a slick looking bucket hat, a fabulous medal from the Wizard of Clay, pre-race yoga by Leslee Schenk Trzcinski, and post race food courtesy of the Mill Creek Cafe! EARLY PACKET PICKUP OPTION: Runners will have the option of picking up their race packet & bib the night before the race (4-26-18) from 4-6pm in the main lobby of the school. The entrance to the school is located off Allens Hill Road. *Participants must register by April 12, 2019 to guarantee their t-shirt or bucket hat. Additional shirts (if any) will be distributed on a first-come, first-serve basis. Individual participants will complete the entire 18 mile loop from start to finish! Teams can be male, female, or mixed. The first leg of the relay will start with the full-distance runners at the school at 9AM and cover the first 8-9ish miles of course. The second leg of the relay begins near the south end of Honeoye Lake. This is also the Walkers Only start line. Complimentary buses will depart from HCS beginning at 8:15AM to take the second-leg runners to the transition. Buses will be available for first-leg runners to return to the finish line after completing their half of the race. Relay runners should give their gear bag to their teammate at the transition. Relay legs are approximately 5.5 miles, 7.5 miles, and 5 miles. Complimentary buses will begin moving relay runners into position at 8:15 a.m. Buses will be available at all exchange areas so runners can return to the finish line after completing their portion of the race. You must be in good health and physically prepared to take on the challenges of your race. No transfers after 4/19/19...PLEASE. A transfer fee does apply. A parent’s signature is required for all participants under 18 years old. 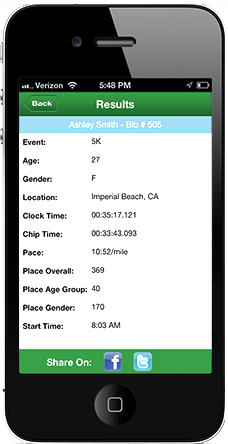 Bib and/or bracelet is required to participate and must be visible at all times. Dogs, in-line skates, skateboards, bikes, baby-joggers and BANDITS will not be allowed on the course. For safety reasons, we strongly recommend against the use of iPods, MP3 players or headphones of any type. All runners must stay to the side of the road for safety. Time to complete this race will be 4.5 hours. After 1:30 p.m. there will be no services on the course. Mill Creek Cafe will provide delicious post race food that is sure to please. Following awards, please consider stopping by Mill Creek to enjoy live music, tastings, cold beer and awesome camaraderie. For additional information on the race or sponsorship opportunities, please contact Karen Emmerling at kemmerling@honeoye.org or Bob Stewart at bstewart1@honeoye.org.